Throw up the horns for this cool administrator. Christmas has come and gone; the new year is here. But we can’t truly leave 2018 behind without giving props to this absolute legend of a mayor, Tim Keller, for rocking a Pantera Christmas sweater at a bill-signing ceremony last week. 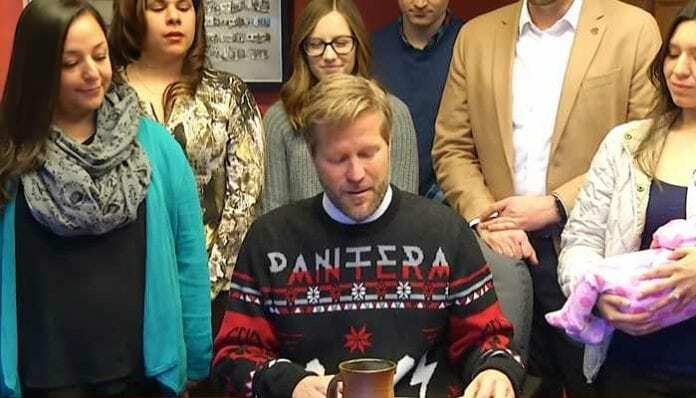 That’s right—watch the metalhead mayor of Albuquerque, New Mexico, sign a bill in a his yuletide Pantera duds, below! And the “ugly Christmas sweater” in question was actually given to Keller by none other than Pantera bassist Rex Brown, as noted by Consequence of Sound. In a tweet from Friday, the mayor gave a special shout out to the musician for the gift, thanking the metal band member for the sweater that surrounded some equally awesome legislation. The bill signed by Keller on Thursday gives extended parental leave to city employees—up to 12 weeks, the Albuquerque Journal reports—making Albuquerque the first city in New Mexico to extend such benefits to its municipal employees. And Keller’s no neophyte in the rock and metal community, having introduced acts like Trivium and Anthrax to the stage when they’ve visited the growing Southwestern tourist destination and county seat of Bernalillo County. What do you think of this mayor’s ugly Pantera Christmas sweater? Have you ever seen such a heavy metal bill-signing ceremony? 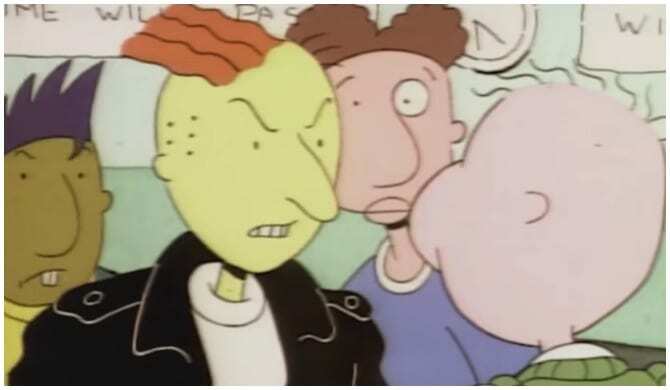 Sound off in the comments section, down below. And let us know your favorite heavy metal Christmas sweater! Next articleWhy was Carson Daly’s New Year’s ball drop so awkward?